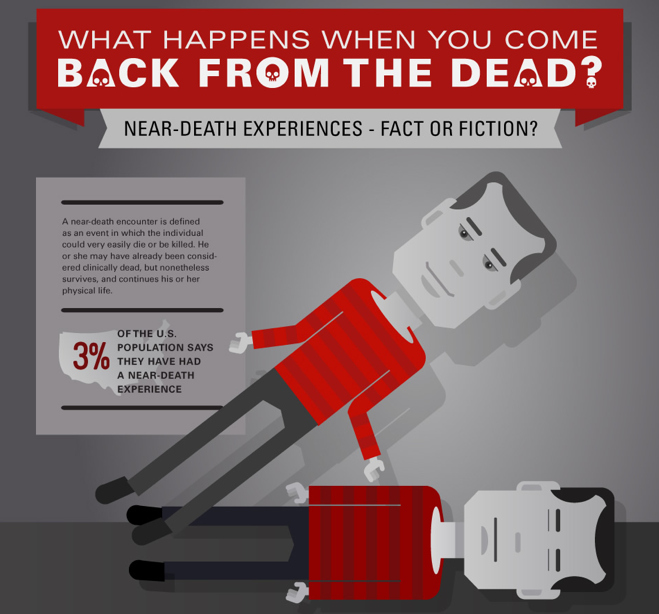 Infographic: Do you believe in near-death experiences? While the majority of these experiences are positive, some have reported feelings of terror and panic, or even visions of demonic creatures. Do you believe this is real? Or can science explain the phenomenon? I believe near-death experiences are real in the same way that I believe dreams are real. I also believe that dreams can be sometimes (but not always) insightful or even prophetic. I’m pretty sure that human knowledge/understanding about the universe and the meaning/purpose of life is limited, and there exist things we don’t entirely understand. If we could explain away everything, I think the world would be pretty boring!